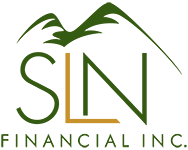 Social Security Changes for 2018 | SLN Financial, Inc.
A higher tax cap. Workers will now contribute 6.2 percent of their earnings to Social Security until their income exceeds $128,700 (up an extra $1,500 compared to 2017’s $127,200). Bigger payments. Beneficiaries can expect to see an average monthly payment increase of $27, upping the total to $1,404. Couples who both receive payments will see their payment increase $46, to a total of $2,340. An older full retirement age. To claim full benefits, people who turn 62 in 2018 will need to wait. The full retirement age for those born in 1956 is now 66 years and four months old. Paperless statements. In 2017, the Social Security Administration stopped mailing paper statements to everyone under the age of 60. In 2018, they’ll stop using paper statements altogether. You will need to create an online Social Security account to check your earnings and future benefits. Larger earnings limits. If you work and collect Social Security, you will earn slightly more in 2018 before part or all your benefits are withheld. Those who are younger than their full retirement age can earn $17,040 this year, up $120 from 2017. What do all these changes mean for you? We can help. Give us a call and we can assist in getting you more familiar with the new Social Security changes.